The future of your business and the historic past of Louisiana are nestled along the shores of the Mississipi River in New Orleans. The Ernest N. Morial Convention Center is the perfect place to promote your business. Using our superior selection of trade show displays and exhibiting solutions, you can make new in-roads by day and explore the world famous French Quarter and historic Bourbon Street located less than 2 miles from the convention center. Food, music, dancing ... and business! Trade show stands give an entity a chance to show their credibility and visibility to the public. It provides a platform where sellers meet and interact with new clients. The booths allow business owners to participate in product promotion to pursue a segment to try their commodities. Where is the New Orleans Convention Center Located? The New Orleans Morial Convention Center is located at 900 Convention Center Blvd, New Orleans, LA 70130. The center is the second busiest convention center in America, and located less than a mile away from Canal Street on the banks of the Mississippi River. Determine what you wish to accomplish with the booths. Find out whether you are investing on the stands to close sales, meet people, or get contacts for the enterprise mailing list. The type of produced items and company goals will aid in determining the ideal show booths to acquire. Choose one that will maximize returns on your investment. Check out the merits and demerits of the various designs and types of booths in the market before committing to buy a stand. Market the Booth in New Orleans? Come up with ways to market the trade show stand before the event takes place. 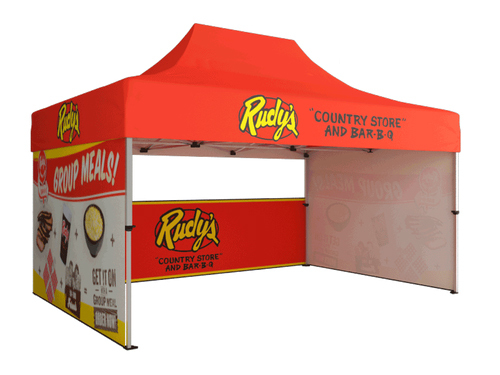 Inform your clients about your intentions of setting up a booth during the show. Carry out a hype campaign to create awareness about your existence and goods you will be showcasing. Building anticipation and momentum helps to invite new individuals to learn about your goods and services. Pick a spacious stand to accommodate many guests. Unique Advantages to you Business? Identify the unique benefits of a trade show booth to your company before paying for it. It ought to pass details about the commodities you are selling and why consumers must try them. The booth needs to have attractive graphics and large fonts for potential customers to read and understand your services and terms. Apart from passing information to a segment, the stands should also emphasize on specific details to show your strength.